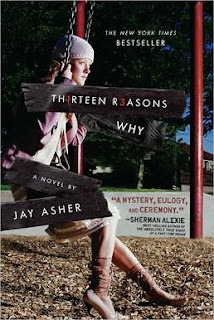 Years ago, before I began this blog, I read the book Thirteen Reasons Why by Jay Asher and thought it was fabulous and important. A few months later, in 2009, I had the opportunity to meet Jay Asher (see the post here). In his talk that day he mentioned that the book was going to be made into a movie. How crazy is it that eight years later, Netflix has made the book into a series, with season 1 available now. Eight years later! I'll confess I watched all 13 episodes over only 3 days. 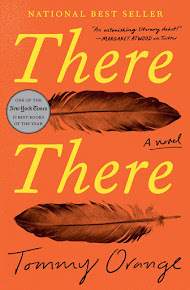 I still think this book and series is important. The issue of teen suicide is often ignored, with communities assuming it's a one-off problem when a teen is successful. However, the number of suicide attempts, cries for help, and successes are far too high (and when gay or transgender youth are considered, the numbers are staggering). Our community had two successes and an attempt over the course of a weekend last month. Perhaps that's one reason this feels important to me. In case you are one of the few who hasn't read the book or seen the Netflix series, Hannah committed suicide before the book begins. Before she died, she recorded 13 sides of audio cassettes, each containing the story of someone at her school who contributed to her suicide. The tapes were given to the first person on the tapes with instructions to listen to all the tapes then pass them on to the next person and so on. There is a second set of tapes that will be publicly released if the chain is broken. Since I read the book so long ago, I don't remember all the details and I think that made watching the series that much better. I know that characters and scenes were added so that each "reason" became an episode and sometimes I felt it moved too slowly with extra scenes. That said, I feel like Netflix did a really good job with this show. My 16 year old daughter loved it and said everyone is watching it and talking about it. Apparently her Twitter feed is full of 13 Reasons Why. I hope that means teens are talking about the impact of suicide, who teens can turn to, and the behavior of the characters. The behavior makes me so angry. Why are teens so mean? Not everyone is cruel in the story, but each of them does play a role: perpetrator; bystander; victim. The angst and angry oozes from their pores. And none of them seems to feel that adults can help. That is the part that saddens me the most. As someone who works in the schools, I want to think that the adults are open to listening to the students. Maybe we, the adults, know that, but the students don't. Anyway, I highly recommend reading and watching 13 Reasons Why!